The front will be slid into the tube, as to unite the two together. 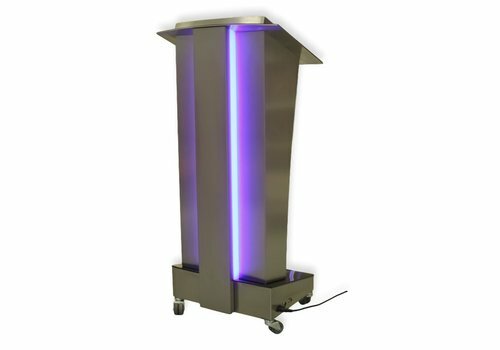 With the brushed stainless steel this podium is really radiant. 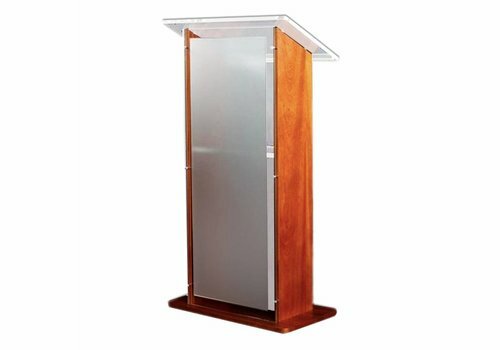 This lectern is an often bought presentation desk. 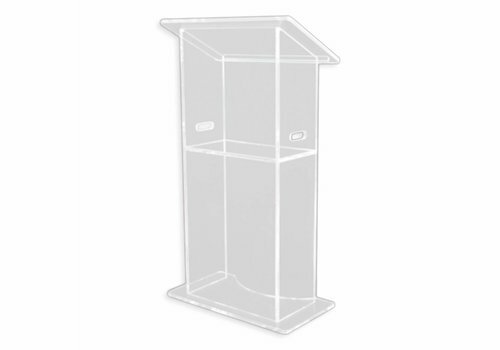 The base material is wood combined with clear acrylic front panel as well as reading journal. 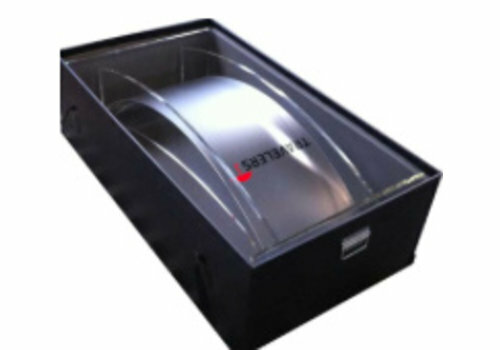 The clear acyrlic (crylic-Lexan) platform has a pleasant appearance during presentations. The curved front plate ensures an inviting image. It particularly stands out with a logo or company name. 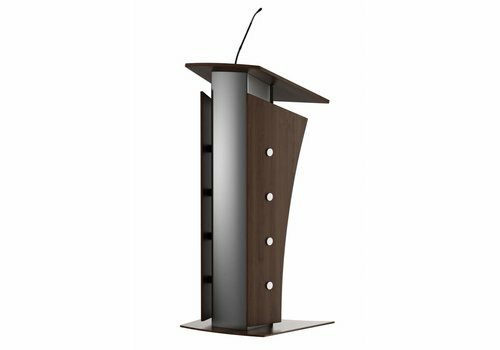 The Armagosa is one of our most popular design lecterns. 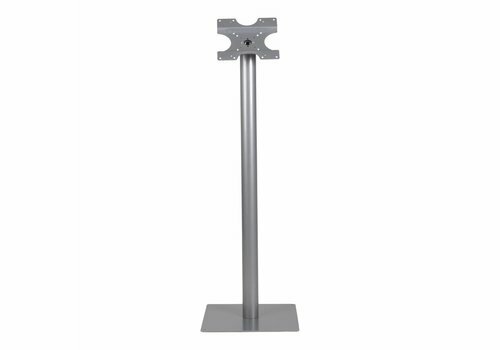 Solid Flat screens stand with Vesa Mount to mount one or more screens. 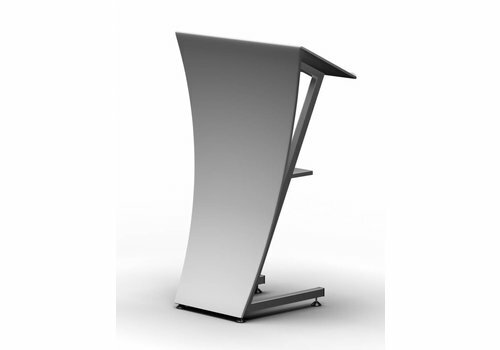 Combination of stainless steel base with satin front panel and display platform. 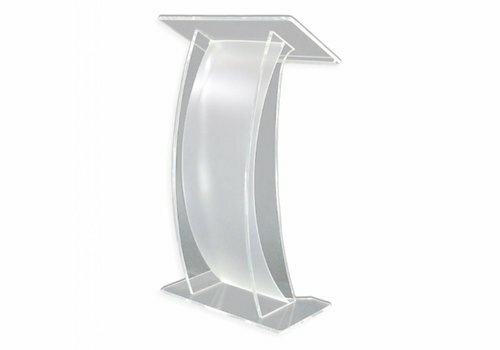 The front plate can be ordered in transparent clear, in color or frosted opaque plastic. 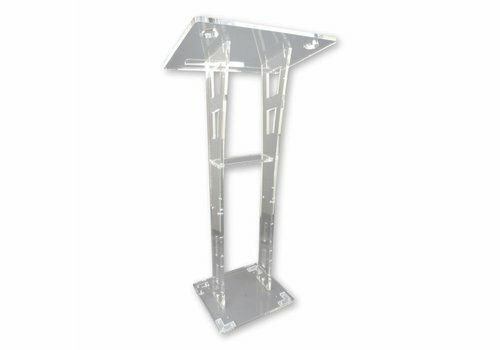 The Berloiz lectern is made in acrylic and has an especially beautiful appearance. To the whole of its front a logo or selected colour can be applied. 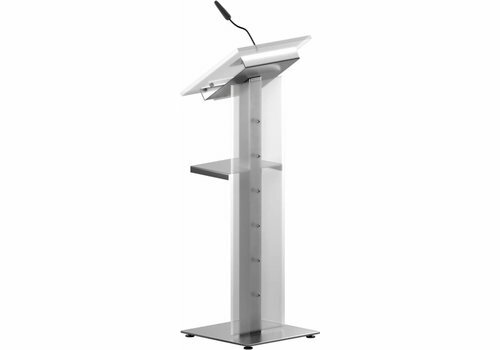 This way you can customize the lectern in your preferred company colurs. 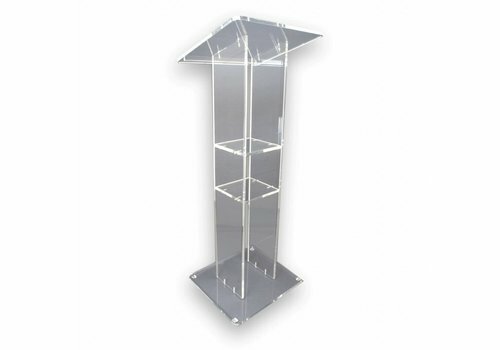 One of the most sold metal lecterns. 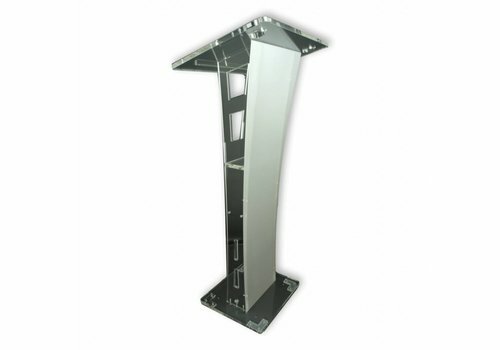 The beautiful light curved front plate gives you the opportunity to show advertisement such as company name or logo. 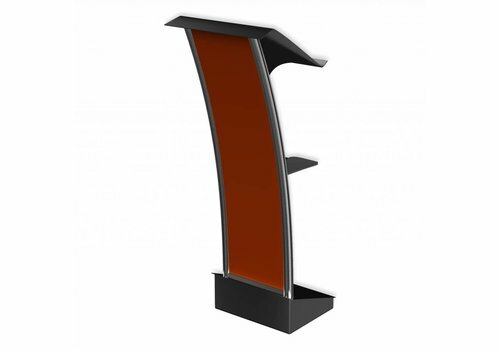 The front display can be wrapped in any color you desire. Lecture Neptune, made of wood and finished in graphite color. (Optionaly in every color you prefer). 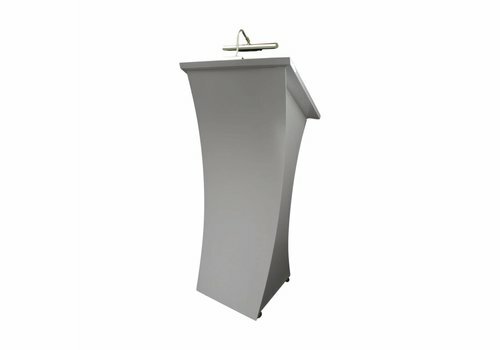 This lectern has a beautiful curved front side. 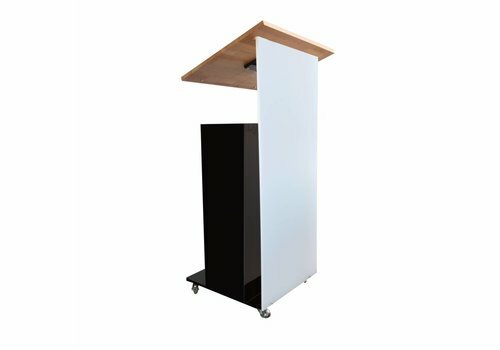 On this panel you can bring on your own logo or company name (optional service before shipment). 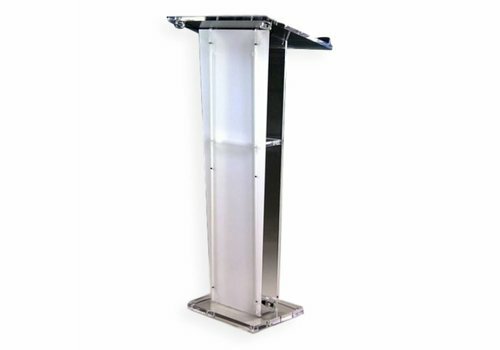 If you move the lectern and want to be sure there will not be any damages during movement, you should consider a flight case.